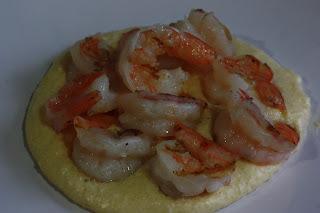 I love grits, they are too underutilized here in the west, they can be made so creamy and satisfying you'll never miss potatoes or rice again... They are also a grain I feel okay occasionally indulging in, buying a nice quality organic stone ground grit. Shrimp and grits is a common southern staple, and southern cuisine being my favorite to eat, I wanted to share this recipe, so I invited my parents over, knowing they have never had savory grits before. Place milk and half and half into a large stockpot and heat over medium, until bubbles form around the edges of the pot, careful not to scorch the milk. Slowing pour in grits whisking continuously until the grits start to thicken. 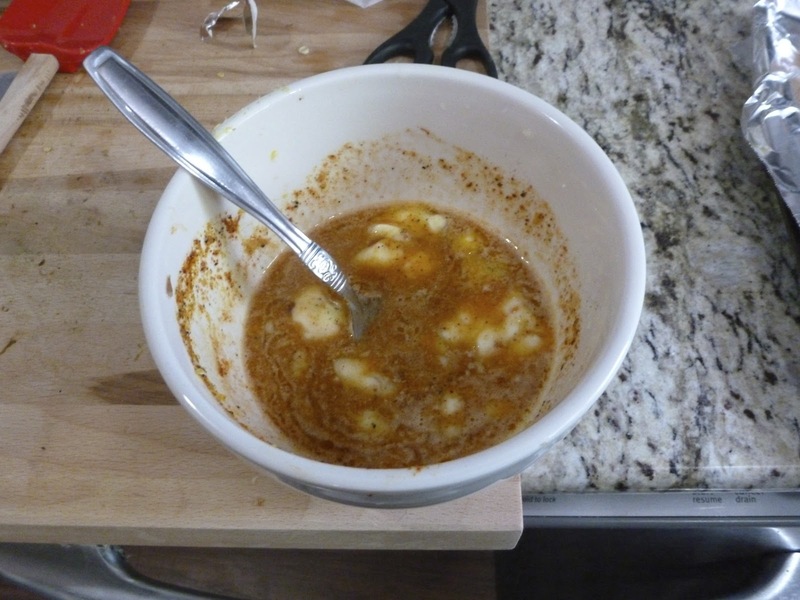 Turn heat to low, and continue stirring for 5-6 minutes (or whatever the instructions on your package advise), when thick and soft (tasting it) add in the butter and cream cheese and whisk until well combined. Turn off the heat and whisk in the cheddar cheese and a good pinch of salt. Keep warm with lid on, it will continue to thicken as it cools- so adding in a touch of milk to thin if needed before serving. 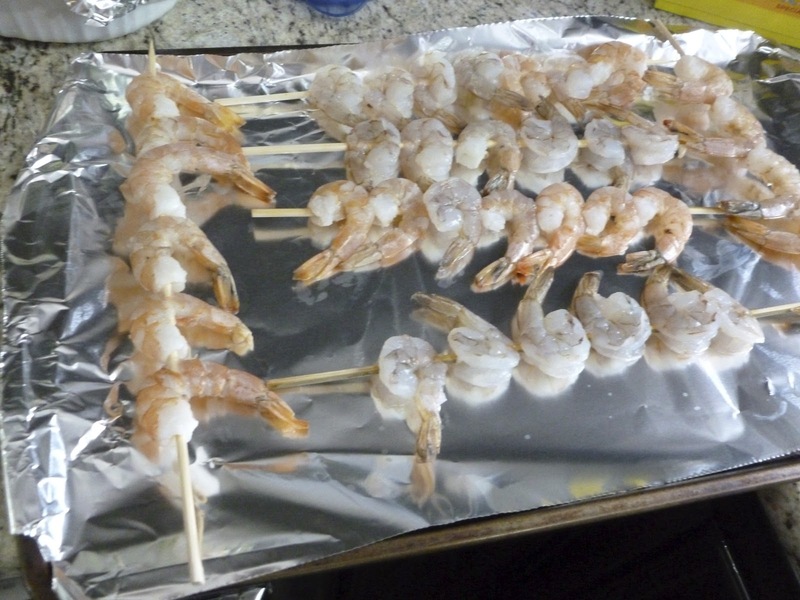 I skewered my shrimp so they wouldn't curl up under the broiler. Top with slices of one lemon. In a bowl mix 1/2 stick of butter, creole seasoning, and juice of the other lemon and heat in microwave until melted. 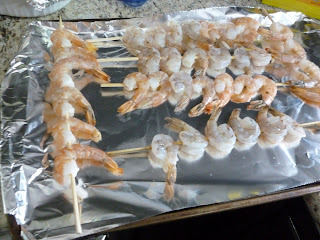 Using a pastry brush, baste the shrimp skewers on both sides and place under hot broiler for 3-4 minutes before turning. 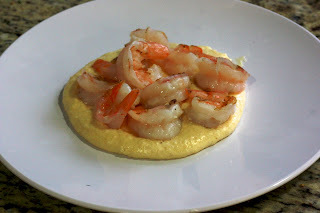 Turn shrimp, basting again, and cook 2/3 minutes until shrimp are pink. 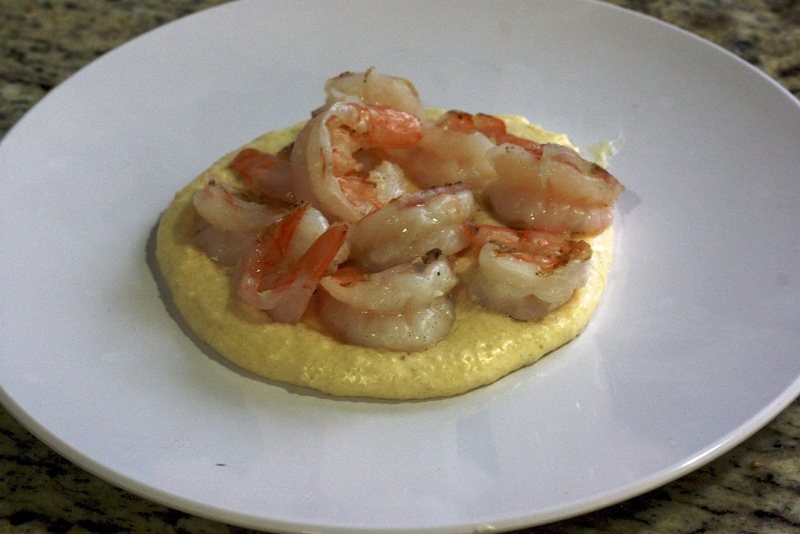 Serve grits in a bowl, top with shrimp and a good squeeze of lemon.